iTunes Extras now cannot be played on second and third generations of Apple TV though they are supported by original silver Apple TV. Many people have complained that they have purchased iTunes Extras from iTunes only to find that they are not compatible with Apple TV. The fact is that iTunes Extras can only be streamed with iTunes on a Mac or a PC. 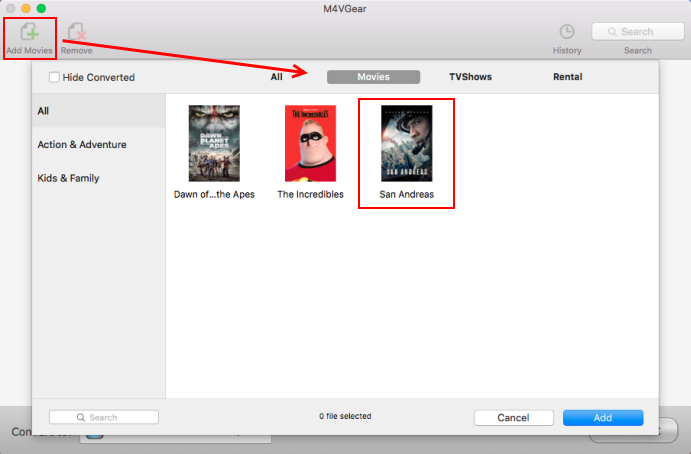 M4Vgear DRM Media Converter offers a very simple way to make iTunes Extras watchable on Apple TV. The detailed tutorial is as follows. 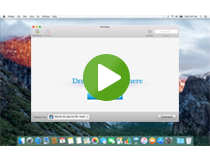 Step 1: Download and install the Latest version of M4VGear DRM Media Converter for Mac. Click "Add Movies" button on the upper left to open iTunes library. You will find iTunes Extras automatically show in the Movie of drop-down list. Choose the one you want to convert and click OK to apply. After the iTunes Extras is well-loaded, you can choose output format from the button after "Convert to" . 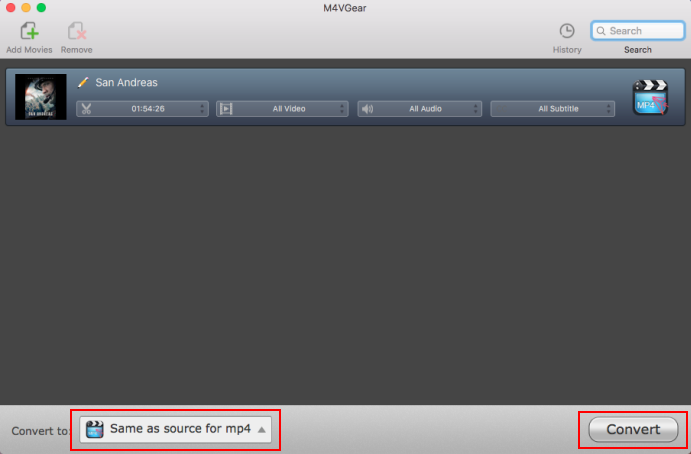 Then click "Convert" button to starting converting iTunes Extras to MP4 format. 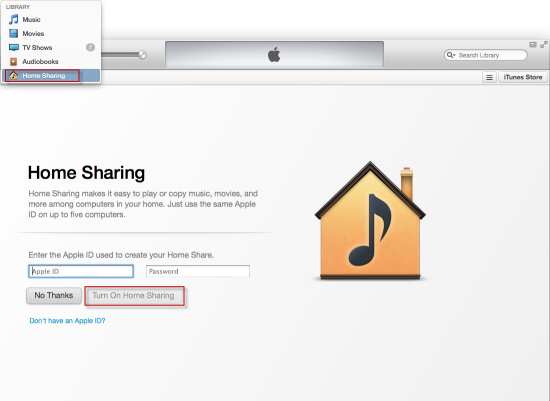 In iTunes, choose Home Sharing to enter your Apple ID and then click Turn On Home Sharing. Apple TV will automatically find these iTunes Extras in iTunes library. Now start watching iTunes Extras on Apple TV. What else can M4VGear do for you? Remove DRM from iTunes purchases and rentals and convert them to MP4 format. Remove DRM from iTunes movies, TV shows and music videos at unbeliveable 20X faster speed. Get DRM-free iTunes videos with lossless quality. Keep all the subtitles and audio tracks including 5.1 audio track. Compatible with the latest version of iTunes and Mac 10.12.1.
iTunes Extras includes the featured movie and chapter selection along with special features such as movie stills, deleted scenes, exclusive interviews, and behind-the-scenes footage. Many of these special features are replicated from a movie's DVD/Blue-ray release, and the iTunes Extras interface even resembles a disc's menu scheme. But iTunes Extras of certain movies may come out before DVD or Blue-ray Disc distribution. 1. iTunes Extras content will be downloaded to My Movies and can be identified by the icon to the right of it. 2. iTunes Extras is only available in iTunes purchases. 3. iTunes Extras can be synced between Computer and Apple TV and Apple TV 3.0 or later.